Provimi, a major European animal nutrition business, wanted to build a presence in the Mexican market and had identified a potential acquisition target. AMR was asked to provide input on the achievability of the business plan in the light of numerous risk factors. 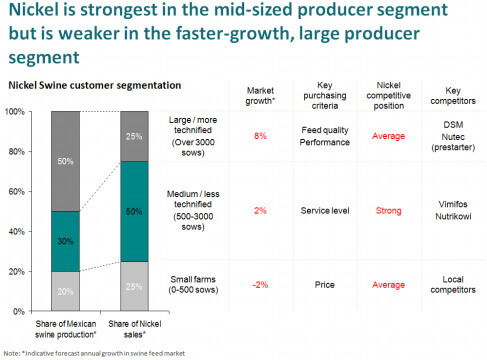 What is the structure of the Mexican animal feed market and how is it changing (including industrialisation)? How have external factors impacted the target’s performance? What are the target’s sources of competitive advantage and how sustainable are there?